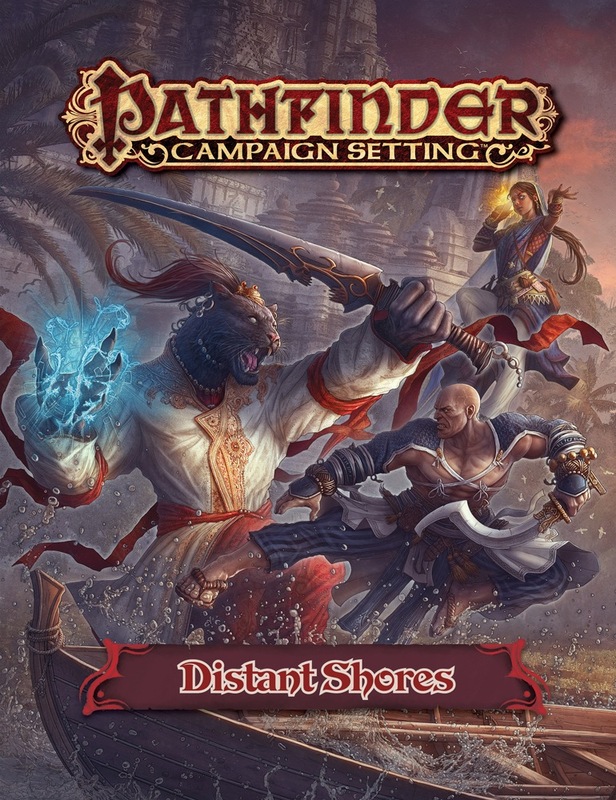 We were GOING to do a more detailed world map for this book... but that ended up not being possible, since I'm the one who needs to generate that map and I simply didn't have time to do so in the build-up for Gen Con and the aftermath of Paizocon plus the mayhem of handling Pathfinder #100. We'll try to get a world map into something else some day. But it won't happen in Distant Shores, as I'd hoped. Sorry! A shame, but won't affect my purchase decision. A detailed map would have been awesome, oh well, maybe one day we will see such a thing become reality. Thanks, Zanthrax, for the map link. James, while you're at it, how about a map of Golarion before the Starstone fell? Fuzzy memory thinks there was some kind of map in the Lost Empires-y campaign book maybe? Looking at the map, is the island on the bottom right of Casmaron supposed to be Iblydos? My guess was the archipelago under the 'Ca' in Casmaron -- if it's a Greece take, multiple islands could be a thing. Plus that would make it not so incredibly far from the main play area. I'm not sure how adding a 2nd map to the list will make anything like this happen faster when I don't have the time to do the 1st map. So were is Iblydos located? ROFL! I know. Just thought I'd throw it out there. The remaining Azlanti islands are really big enough to have entire kingdoms over them ? What is there on present day Golarion ? Free space for a new Kingmaker campaing ? Ok, so that is were it is located. I'm looking forward to the hobgoblins finally getting some love. 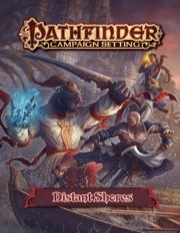 Probably my favorite "bad guy" race, tied with duergar, and glad to see we can have more to work with in terms of setting and player characters. I seriously can't wait for this book. So chuffed about it. I'm particularly eager to see how Arcadia is going to look like, since we know so very little about it. Glad to hear one of the six detailed cities will be in Arcadia and will be a native one. Could be interesting if done in a unique way. I'm also keen to learn more about Valenhall, just find the idea of "Vikings in the New World" analogue to be cool. Would be neat if they maybe adopted some of the customs of the locals there, like perhaps adorning their helmets with bright feathers, also some other qualities that make them a bit distinct from the regular Ulfens of the Linnorm Kingdoms. Maybe there could also be a bit of intermingling and mixing between the cultures, and maybe Valenhall could be allied with certain Skraeling tribes, while at war with others. And maybe on top of that, the Ulfen techniques of smelting iron and forging iron-based weapons and armour may have inadvertently been passed on to the neighbouring Skraeling tribes, which could have interesting implications. I hope we also get a good chunk of unique demihuman cultures as well there. Maybe aggressive horse-raider elves on the plains, sorcerous jungle orcs calling forth dark powers, etc. I seem to recall that "Skraeling" has been retconned out of use in Golarion. There was a discussion of colonialism and Hispanic representation where some information was presented on the subject. Speaking of retcons, anyone know what happened to the "Hissing Jungle" mentioned in Hollow's Last Hope as the source of darkwood? I'm inclined to think it's either somewhere in South Garund, or just renamed as the Valashmai Jungle. I hope this book's cover art and description gets updated this week. That's interesting - I first learned the term in elementary school but I've never heard that it's a racial slur or had some kind of negative connotation. Wikipedia and dictionary.com are silent on the issue, but apparently Skrælingi means foreigner or barbarian in Icelandic. Is this a US thing? Edit: Ah, found it when I switched wikipedia nationality. The term is considered offensive to First Nations people in Canada. I think it's a political correctness thing. Natives in Canada are still treated in a rather bad way by the government and colonials, so it's a rather touchy thing still. A couple of weeks ago, I happened to stop in a rest stop on interstate 390 in Southern New York State. There I found a sign placed probably back in the 1950s by some historical branch of the NYS government. It mentioned that the location marked the southern boundary, back in Revolutionary days, of the Iroquois Confederacy. Then it told how, after the Revolution, two NY generals (one was the Clinton who later became governor of NY) were ordered to "break the power" of the Confederacy. They did so with alacrity, as the sign informed me, by destroying villages, killing the inhabitants and destroying crops, ultimately leading to famine causing more deaths. And that, the sign proudly proclaimed, allowed us (whites, I presume) to move into the suddenly "freed" territory. Lucky us. I'm not a fan of political correctness, but the history of these United States in dealing with the folks who were here when we got here turns my stomach. I can't wait to find out more about places outside of the Inner Sea. It is an unfortunate event in every settled nation's history. I cannot think of a single one which doesn't have such stories. At least in South America they are also treated very poorly by governments and colonials too. Nope. It's a compassion thing. I am saddened. The placeholder cover was so evocative of the Age of Sail. Now the cover is just generic punch-kick. Can a trade route be "massive"? How about "extensive" instead? And does the city of Segada itself have "mountaintop walls", or is that just that particular Arcadian coast? I am interested in Anuli, Aelyosos, Radripal, and Segada. Segada is situated in a mountain pass that is a bit inland from the northeastern coast of Arcadia. Do we get a better map view in the book of how that works out? For that matter, regarding all six cities, do we get a map view of the surrounding land, to see how the cities are placed within their respective landmasses, or do we just get maps that are limited to the city walls? The maps in the book are solely restricted to the individual locations, much like the maps in any of the rest of our city books, and don't show the surrounding countryside.